In the aftermath of conflicts, countries need to identify new ways in which to (re)build societies, infrastructure and institutions. This process is determined by several different approaches and mechanisms that aim to support countries to achieve long-term and sustainable peace. International conflict management documents continue to highlight the complexity of peacebuilding and its coherency with other national development and statebuilding processes. Peacebuilding is therefore any action taken by international or local actors which aims to consolidate peace in transition, stabilisation and post-conflict situations. It is a complex and interdependent conflict management system. 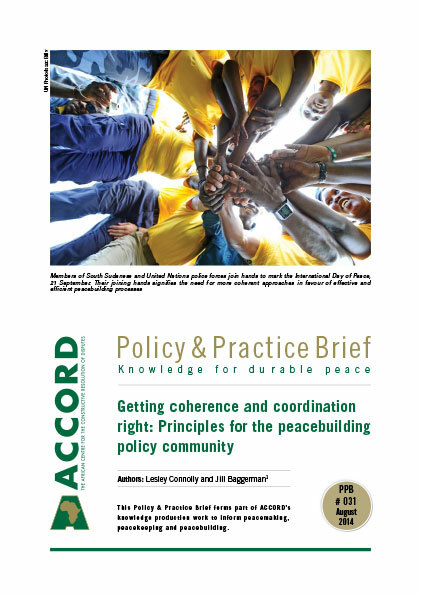 This Policy & Practice Brief (PPB) is based on the outcomes of a seminar hosted by the African Centre for the Constructive Resolution of Disputes (ACCORD) with the theme ‘Towards a more coherent peacebuilding policy community’ in Johannesburg, South Africa on 19 and 20 February 2014. 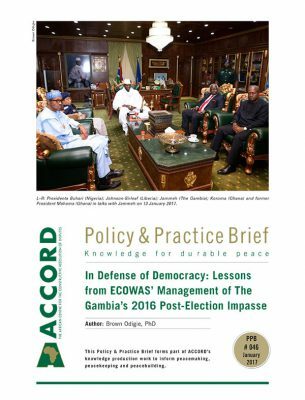 It aims to examine whether greater coherence and coordination is necessarily the answer to ensure the achievement of more effective and sustainable peacebuilding initiatives. Firstly, the brief seeks to establish a common understanding of the term ‘coherence’ which is specific to peacebuilding dynamics by unpacking its meaning within peacebuilding experiences. Secondly, it will examine the various challenges hampering achievement of coherence and coordination. 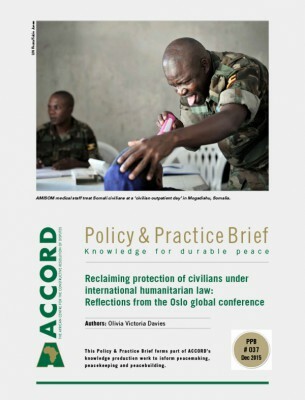 Finally, the PPB provides some recommended principles that should characterise peacebuilding interventions as a way to support local and international actors in developing coherent, effective and sustainable peacebuilding efforts. 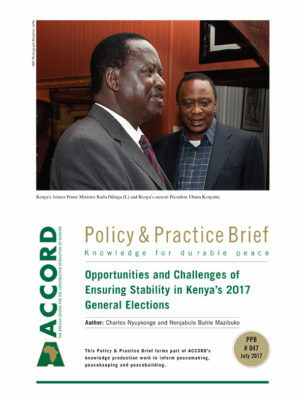 Over the years, a series of international, regional and national peacebuilding-related policy processes have been initiated and, together, these advances have generated a common space where several layers of actors working in peacebuilding at international, national, regional and local level interact.2 These initiatives, however, are not always coherent amongst themselves and often have the unintended effect of creating a sense of confusion among and competition between actors, leading to the development and implementation of uncoordinated strategies that are less than optimal. This generally results in unclear objectives and the duplication of activities and efforts. One stream of thought is that in order to enhance and make peacebuilding initiatives more effective, greater coherence and coordination among actors is needed. It is important to ensure both internal and external coherence. Internal coherence is expressed in a country where the government has a specific, well-articulated vision that outlines how they want the country to emerge from the prevailing situation. Coherence supports coordination by indicating the roles of all actors, clarifying what needs to be done and ensuring understanding of the roles they play in coordinated activities. Where this is strong, there is agreement among actors to work together to achieve strategic goals. External coherence focuses on the international community and the policies and approaches taken by these external actors. In an ideal case there is a clear understanding of levels of internal coherence and the international community buys into local efforts and acts accordingly. Here, all actors work together to channel assistance in support of locally-led efforts and contribute to a common purpose. Judy Cheng-Hopkins, the Assistant Secretary-General for the Peacebuilding Support Office at the United Nations (UN), a presenter at the seminar, clarified the distinctions between different types of coherence and unpacked various possible scenarios for what the term means in peacebuilding.7 She presented three case studies which further define and give meaning to internal coherence. 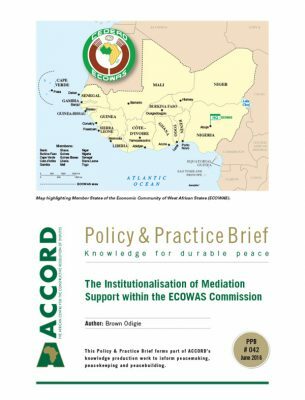 These case studies show that where there is strong internal coherence, there is more likely to be effective coordination of peacebuilding initiatives by all involved actors. 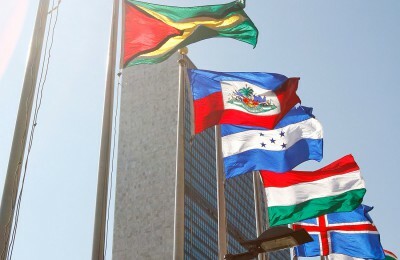 The three examples look at the best case scenario – Rwanda; worst case – the Central African Republic (CAR) and Afghanistan; and a middle case scenario – Liberia.8 These cases illustrate what can happen when there is sufficient or insufficient coherence, and through them, understanding the meaning of coherence and coordination in peacebuilding becomes clearer. The government of post-genocide Rwanda displayed excellent internal coherence, followed by exemplary external coherence and ultimately coordination, according to Cheng-Hopkins. 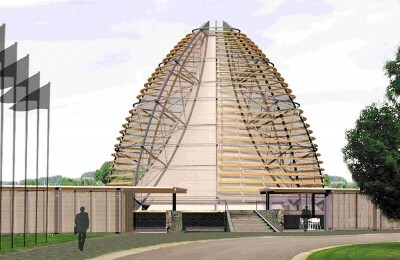 In the wake of the 1994 genocide which destroyed Rwanda’s social, political and physical infrastructure, the political leadership was able to give people hope, lead the country in paving the way to reconstruction, elicit buy-in from relevant sectors of society and ensure that there were solid government systems to enforce these plans. The external coherence was also successful because it followed what the government put in place, supporting locals who led the processes. In addition to international support, the donor community also aligned itself with the goals set by the government. Based on its vision, the Government of Rwanda was able to put together a plan and, most importantly, engage the necessary expertise to come up with a credible monitoring and tracking system for development funding, which resulted in increased financial support due to funding partners’ confidence in the way resources were utilised. This demonstrates how the soundness of internal processes allowed for external coherence to follow suit by playing supporting roles to locally-led peacebuilding processes. As a consequence, since 1994, Rwanda has developed significantly and has become less reliant on external funding and support. In 2004, 40% of the country’s budget came from official development assistance; by 2011 this figure was down to 30%. Furthermore, Rwanda achieved several of the Millennium Development Goals, obtaining a score of six out of eight in terms of being on course to achieving all targets,9 an impressive feat which has not been achieved by the majority of low-income countries. School enrolment was at 92%,10 the country has the highest rate of Internet penetration in Africa and it is the only country in the world where all girls are vaccinated against the human papilloma virus. Furthermore, 11% of land is owned by women only and 83% by women and men together – a dramatic change in a society where traditionally women were not allowed to own land at all. The high level of internal and external coherence observed in Rwanda drove and prioritised initiatives such as budget support, the management of expectations (as well as funds), credible financial tracking, and other coordinated initiatives which continue to support and enhance Rwanda’s post-war successes. Liberia’s experience is what can be called a ‘middle scenario’, as all actors continued down their own paths to reconstruction following the country’s 14-year-long civil war (1979–2003). Although significantly challenged by persistently high levels of corruption and divergence among actors in terms of how to move forward, the country also embarked on several coordinated initiatives similar to those in Rwanda. There is internal coherence in that the government made attempts to institute several strategies that aim to lift the country out of fragility through programmes such as the Lift Liberia Poverty Reduction Strategy (July 2008–December 2012)11 and the Agenda for Transformation, the government’s five-year development plan.12 The Government of Liberia has established logical frameworks and monitoring systems which have been used internally by various ministries to highlight remaining gaps, underachieving projects and effective utilisation of funds.13 Furthermore, the country has a web-based budget and aid management system – anyone in a ministry’s system can access this information and use it to encourage and support ministries to work better together. Liberia’s budgets are increasingly published for greater transparency and accountability.14 There is a determination to get things right, move the country towards a common goal and ensure sustainable development. As a worst case scenario, the high level of coherence and coordination observed in Liberia and Rwanda was not achieved in the CAR. The country has experienced coup after coup and continuous unrest caused by accusations of undemocratic processes. Over the years, there has been a lack of vision on where the country was going and how leaders, among them recently deposed President François Bozizé, wanted the country to develop. In the absence of a coherent vision at the national level, in intervening in the CAR, the international community has largely followed its own processes. To compound matters, in many cases coherence among international actors has also been lacking, resulting in contradictory or inappropriate policies which have hampered progress and development. 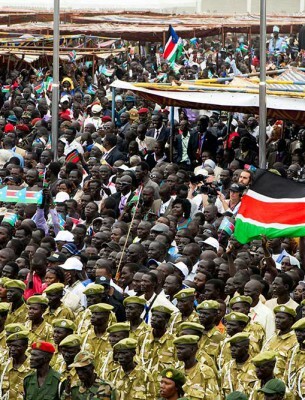 In the absence of strong internal and external coherence, the country’s situation has continued to deteriorate. Despite wide understanding of what is meant by effective coherence, it is not always easily attained in practice. In the peacebuilding policy and research community there is a position that peacebuilding missions will be more efficient and thus have a more meaningful impact, when the different peacebuilding agents involved have a common objective.16 In this line of thought the lack of coherence is a critical shortcoming of peacebuilding interventions and, thus, improving coherence would lead to greater efficiency and effectiveness in peacebuilding. 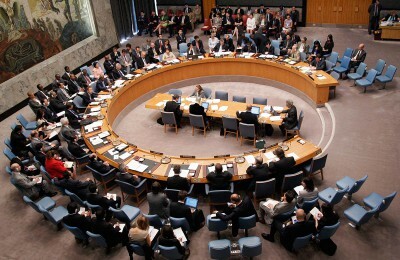 This ‘coherence dilemma’ is evident in the UN’s move towards integrated missions and the ‘Delivering as One’ initiative. 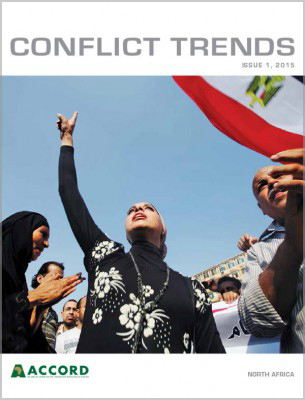 Yet, even with these changes, studies show what appear to be persistent and intrinsic limitations to the degree to which coherence is attainable in peacebuilding systems, thus the coherence dilemma.17 Responses to this quandary would typically involve enhancing policies and frameworks to promote greater coherence and, as a result, more succinct peacebuilding interventions.18 Practically however, in spite of the best efforts of peacebuilding practitioners over many years to try various approaches, models and tools to boost coherence, it remains an elusive goal. This brings one to question what the actual challenges hindering coherence within peacebuilding contexts are and how more effective peacebuilding interventions can be achieved. 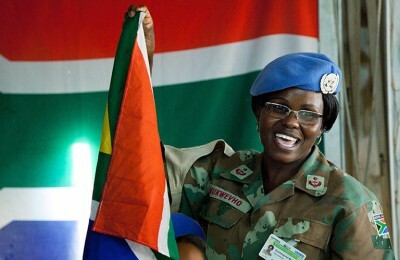 While a variety of initiatives have been generated, reflective of renewed and concerted efforts by national, regional and international actors to adapt to and address the complexities of peacebuilding, expansion of initiatives can challenge the capacity of those involved to coordinate their efforts and ensure overall synergy. There is broad consensus that inconsistent policies and fragmented programmes have a higher risk of duplication of programmes, unproductive spending, decreased quality of service, difficulty in achieving goals, and reduced ability to successfully deliver. Challenges arise where actors are unable to achieve increased coherence between different peacebuilding frameworks. 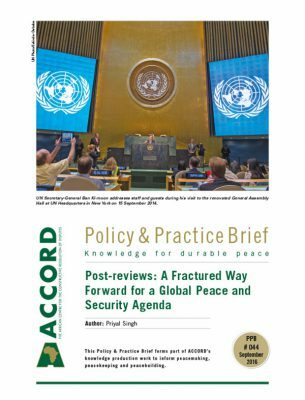 Difficulties include ill-adaption to the actions of other actors; lack of a shared understanding of positive, coordinated relationships between different frameworks; and failure to acknowledge interdependence between actors that unites the peacebuilding system. The challenges towards a more coherent peacebuilding community are many, meaning that often maximum coherence is difficult to achieve. 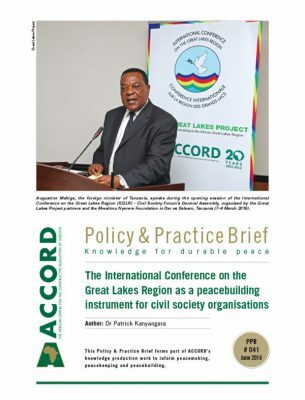 In terms of division of labour and leadership roles, it is critically important that local actors have a leading role in order to set the tone for the types of policies, actions and levels of cooperation needed to achieve sustainable peace. 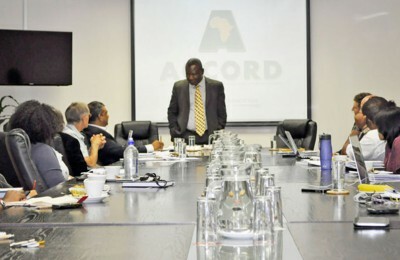 There was consensus among participants attending the ACCORD seminar that local actors must drive processes, with nominal intervention from international actors. However there are various challenges associated with local leadership. Fostering local ownership, upon which coherence depends, often bypasses an understanding that within the complexity of peacebuilding environments there is a vast variety of perspectives inherent in the realities of local communities, and that consequently, there is no such thing as ‘the local’ or even ‘the national government’. During the seminar, Frauke de Weijer emphasised this by pointing out how these variant perspectives may have been part of the conflict and that the diversity may continue to fundamentally determine what different local actors believe the country should look like in the future.20 It is therefore difficult to pull together a coherent vision from the various perspectives and a challenge to identify who exactly to hold responsible for leading this convergence of perspectives. Facilitating cohesion from diverse perspectives and coordinating a range of sectors and individuals in order to achieve overarching objectives is an overwhelming responsibility. Beyond the identification of local leadership, a major challenge is strengthening the capacities of leadership by extending appropriate resources and/or training to them. Situations such as the aforementioned Rwandan case, where the leadership proved itself to be very capable of fostering hope and ensuring buy-in for government plans, or the ‘Mandela factor’21 are rare cases where internal leadership was both identified and supported. In theory, the involvement of local and external actors should benefit peacebuilding processes because it increases resources and types of expertise available to a mission. In practice, however, externally driven challenges at strategic level often result in competition between internal and external actors, resulting in the goals being significantly influenced by external actors, as happened in Afghanistan and the CAR. Thus, while local ownership is widely supported as a principle, the extent to which this is respected and implemented is debatable, with states frequently being forced to submit to a form of Western liberal democracy. For instance, UN peacekeeping interventions are often based on a tried and practiced model, which may not necessarily be adapted to challenges on the ground. As peacebuilding missions begin operations, institutions and perspectives that are externally driven become the new norm, claiming responsibility and ownership of decisions and processes which should reside within local hands. Where local actors fail to play a leading role, coherence is misplaced because actions taken might fail to complement realities on the ground. External actors, who are all too often in charge of processes, may establish unhelpful goals, which may demonstrate short-term progress and results, but ultimately hinder local ownership due to insufficient involvement of local actors. In such cases, cohesion is misguided and coordination lacking, posing a further challenge because there is no way of assessing how effective the division of labour is to ensure that a sustainable plan for long-term engagement is in place. External support could be more useful if it concentrated on the essentials – security, basic services and infrastructure – and would be most beneficial if it focused on preventing external threats, such as transnational crime, from affecting local environments. The lack of coherence among actors, however, is not only between external and local actors, but can also manifest as tensions between two or more external actors and between two or more internal actors. Tensions between two external actors can be seen in critiques between regional and international bodies. 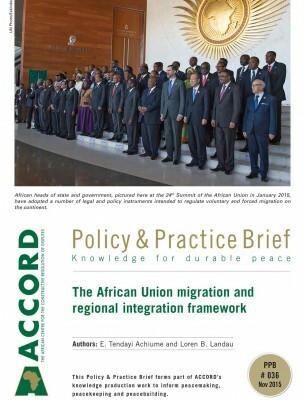 While the African Union (AU) calls for ‘African leadership’ rather than external intervention, the UN criticises the lack of initiative of AU members to implement their own agendas. This was, for instance, the situation in Liberia when the country and other African actors sought to focus on transitional justice processes, while the UN funded other programmes. Tensions between two internal actors are illustrated in post-genocide Rwanda (despite its overall coherence). Both Hutus and Tutsis were victims of the violence and the political implications of balancing local ownership and leadership were difficult to reconcile with the lack of internal sensitivities. Pressures among external actors on the one hand, and among internal actors on the other hand, are evident in the broader and more theoretical issues surrounding transitional justice and the relationship between traditional customary mechanisms of justice and formal justice mechanisms. Competing goals emerge not just between institutions but within them. Institutions must be or become able to balance potential competing claims and diverse perspectives from within. Competition over how and what needs to be accomplished creates a legitimacy challenge for coherence in peacebuilding because it is difficult to determine who can rightfully claim legitimate leadership in making decisions on behalf of the wider population. In these situations, direct impact is significantly hindered for more effort is directed to debating and flagging policies at institutional gatherings, including UN meetings, rather than devoting more time and attention to implementation. This organisational trap creates additional transaction costs for an institution, deducting from funds that could be used to better coordinate and enhance the work of peacebuilding missions. Furthermore, it creates the illusion of action by institutions without having any substantial results to back up their efforts. Peacebuilding is often approached as a short-term engagement by actors who are seconded to the field for short periods of time. An examination of the dynamics of peacebuilders in the field indicates that their activities are often planned for a year at a time and, in these instances, planning a week or month in advance can seem like long-term planning. When forced to use results-based management approaches, there is a tendency among implementers to focus on the objectives and recent outputs to demonstrate that specific plans are being implemented. These are often short-term, focusing on outputs which measure immediate impact and neglecting to examine long-term effects. In addition, the dynamics of the funding world also come into play when there is a need to account for money spent over a three-year programme cycle and little time is taken to examine and understand how to ensure that engagements are sustainable and peace is consolidated over the next decade and into the future. This narrow view of peacebuilding is linked to conceptions of peacebuilding as a linear process whereby better policies will allow for greater coherence and thus more efficient interventions, which fails to take into consideration the complex dynamics of peacebuilding. Organisations will often centralise activities around a workplan or mandate, with little consideration for what others are working on. 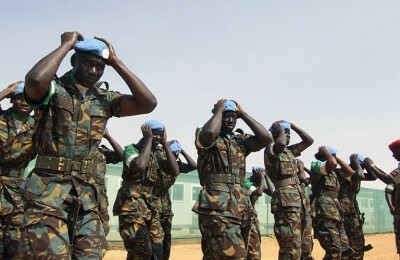 This limited focus can lead to repetitive work, lack of local ownership and unsustainable peace-building interventions. Additionally, there can be competition, as mentioned above, with divergent and clashing mandates. When actors are under pressure to meet the objectives of their three-year project cycles and secure funding for future cycles, competition becomes the norm, with little regard for coordination with others doing complementary work. There needs to be a balance of interests of actors towards crafting longer-term objectives, despite specific project cycles, as well as a move towards more coordinated work in order to contribute to achieving peacebuilding processes in post-conflict countries. Based on the above-mentioned challenges of developing a coherent peacebuilding environment, this PPB advances five main recommendations for local and external actors, to try to develop more coherent peacebuilding interventions which have a better chance of being more effective and sustainable in nature. If local leadership is not able to drive the process from the onset, then the international community’s role becomes that of supporting national actors into the driver’s seat as soon as possible, helping to move towards a unified political roadmap so that national actors can develop a coherent peacebuilding strategy. When initiated by international and regional actors, they must hand over responsibility of designing the initiative and ensuring its coherence and coordination to local actors as quickly as possible. This also helps to increase civilian engagement and decentralisation to the community level. This process should not simply be a transference of capacity from the ‘experts’ to locals, for there is no true distinction on what it takes to be a legitimate expert. Coherence must be assessed and driven by local actors themselves or else peacebuilding efforts will not be effective, in large part because it is local actors who have a more robust understanding of prevailing political situations and therefore know how to prioritise issues. 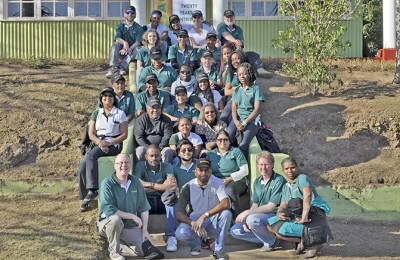 A good example of local actors driving the process, with support from international actors, can be found in South Africa’s post-apartheid reconciliation and governance processes. The National Peace Committee and its secretariat, for instance, was one of the mechanisms created to provide peaceful settlement of disputes during the transition to democratic rule in 1994. 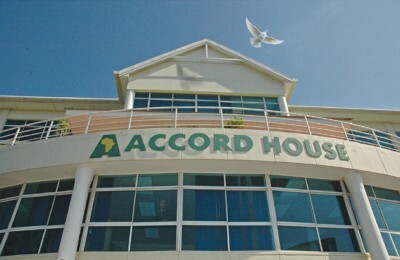 The committee was composed of, led and resourced by senior government officials, while the systems were supported by external grants and expertise.28 More needs to be done by international actors to develop the capacity of local actors in order to ensure transference of skills and development of credible and legitimate leadership within the country, which can hopefully sustain peacebuilding efforts after international actors have withdrawn. Establishing a locally driven process requires strong local leadership; leading bodies or persons that are bold, courageous, and willing to say ‘no’ to goals or funding that do not advance national priorities. Leaders themselves may not always be the ones to develop or determine the national priorities or processes, although local actors of some capacity should. Rather, for local ownership to develop the necessary coherence with which to coordinate internal and external actors, the leader or leading bodies should strive to understand the diversity of opinions and design a system that is inclusive of the multiple ‘locals’. Local actors must find a balance and approach that addresses all stakeholders and delivers results. It is crucial that civil society is involved in this process. Leaders must take responsibility for understanding what their country and citizens need and how they can develop policies to direct the country towards a common, coherent vision. To further complicate the challenges local leaders face internally, they must remember that their institutions vie for influence and ownership amid international peacebuilding frameworks and agendas, and that it is the responsibility of local leadership to determine the appropriate division of labour and effective structures for cooperation between internal and external actors. Leadership entails providing ample space for local actors and states to establish their own policies and systems, based on the realities on the ground, and for external actors to work with these actors, in a coordinated manner, towards a common vision so as to ensure that relevant models are utilised. Towards this end, when local actors successfully identify effective leaders, external actors need to develop a supportive relationship with that leadership. This may involve helping to strengthen human and infrastructural capacity where possible, but with higher regard for local leadership than has been given in the past, when external actors claimed leadership. Building on the need for local actors to be involved, it is crucial to include the entirety of local stakeholders in all decision-making and implementation processes. 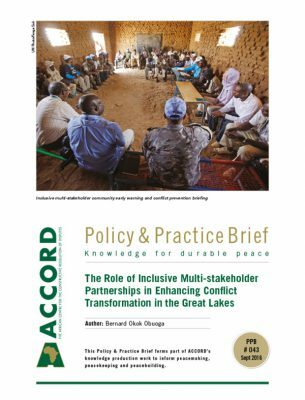 When local actors lead peacebuilding processes and develop coherence for coordination, their recognition of the multiple locals inherent in any peacebuilding context should lead them to work within inclusive decision-making processes. Inclusion must be examined from a vertical as well as horizontal axis level, meaning there needs to be inclusion from international, regional, national and community stakeholders. The vertical axis looks at inclusion or relations between those at the higher and lower levels of society; the government and local actors. Vertical inclusion then entails understanding whether and how the levels of society are linked in bottom-up and top-down processes and whether the perspectives of those on the lower levels are included in the decision-making processes. The horizontal axis is concerned with issues of actors across a wide variety of sectors, and reflects more on the relationships between local and international civil society organisations, inter-governmental organisations, donors and other actors involved in the process. This axis looks at the issues of local ownership and the importance of including locals in decision-making. Minority groups such as youth, women or refugees, are often left out of the process because they are not seen to fit either scale, and this is a vital mistake. Horizontal inclusion entails ensuring all areas of society are included in peacebuilding processes in order to ensure there is a succinct and mutually agreed upon goal that all parties are working towards. When attempting to determine the level and type of coherence, one must bear in mind that optimal coherence does not necessarily mean absolute; it may mean adequate or ‘good enough’ coherence. In line with understanding the complexity of peacebuilding (according to Complexity Theory, rather than a linear or narrow approach), there will be different types of cohesion and coordination called for in different contexts or during different periods within a country. For institutions to ensure that correct approaches are used, more attention should be paid to all instances of coherence and coordination, whether effective, ineffective or insignificant. Good practices, such as in Rwanda, as well as poor examples, such as the situations in the CAR and Afghanistan, should be studied in order to draw lessons on improving coherence. Institutions must find ways to more proactively retain lessons learnt in order to follow up after a crisis to ensure better preparation. In determining the optimal type of coherence and coordination, it is important to probe whether lack of coherence is even the problem, and whether encouraging greater alignment to an ineffective model (or an externally driven one) will exacerbate challenges. A coherent and highly coordinated institution-building approach does not mean falling prey to the high systematisation which is often an organisational trap. Afghanistan’s narrative is a case in point; there were relatively high levels of coherence in both internal and external actors’ engagements in the country, yet efforts were off-base because they were over the inappropriate model. Every group has its interests, and it is good to consider when these interests should be aligned and how to align them. At times, fundamental differences between institutions or sectors of society, relative to their basic principles of engagement and goals, render maximum cohesion and coordination impossible. Objectives must be defined and shared, and then it can be determined where it is important to create coherence without altering the fundamental principles and legitimate differences between institutions. By analysing specific situations, it is important to decide the level and type of coherence and coordination which will continue to support the diversity of interests, opinions and views of a nation. To always pursue complete coherence would be counter-productive if it meant forcing certain groups or organisations to fundamentally alter their principles or visions for the future. The challenge of understanding local contexts, given there being no such thing as ‘the local’, but rather, a variant of perspectives relating to a conflict, may continue to fundamentally determine what different local actors believe a country’s solutions and options are. In these cases, it is not most important to determine how to achieve the maximum level of coherence, but rather to first determine the levels that are feasible and desirable, and second, to understand the mechanisms and processes that will channel the variety of visions for the future into one constructive strategy. Working together with coherence is conditioned upon all actors having current information. Oftentimes in peacebuilding environments, actors operate based on the past and systems do not allow for change. Some peacebuilding and development principles are outdated and must be adapted to adequately respond to present challenges – an endeavour similar to the initiatives of the New Deal in the way they are adapting the concept of fragility to address their present-day situations. Within the New Deal, the principle of TRUST encapsulates exactly what is necessary for effective peacebuilding. If both local and international actors are able to absorb and implement TRUST, working towards a common goal would become significantly easier. Transparency is important because in order for actors to ensure they work towards one goal, they need to be aware of the objectives of others. Linked to this is the need to be flexible, to adapt to what is learnt on the ground. This connects to the necessity of ensuring good relationships with local actors and the need to adapt to and learn from emerging conditions and the issues local actors regard as important. This is often limited by current systems of funding and relations with donors, which are locked into rigid agreements that do not allow for flexibility and adaptation when conditions on the ground shift. Peacebuilding actors must create adapting, learning organisations that do not repeat the same mistakes they or others have made in the past. To overcome institutional challenges to coherence and coordination, all relevant actors must become flexible and adaptable – retaining lessons learnt and adapting to them. International assistance should focus on investing in the capacity of long-term systems. Donors especially become learning institutions by increasing adaptability and flexibility. They must be more flexible with resources and oriented to the long-term. In peacebuilding contexts, which are highly dynamic and subject to major shifts in the situation, becoming a learning institution will entail working to increase real-time dissemination of information and quickly adapting to changes in the context with coordinated strategies. High staff turn-over rates in organisations, paired with important experiences being documented just to sit without being accessed on an office shelf, limit the retention of lessons learnt in the long-term. Within the peacebuilding policy arena, there are many frameworks operating in parallel with one another, often with slightly different concepts, but very often these initiatives have their own policy communities, leading them to act in isolation. When the issue of funding for peacebuilding interventions is added to the equation, it results in many cases of clashing and competing mandates with short-term positions that focus narrowly on achieving donor-required outputs within a predetermined timeframe. This is a major challenge affecting the ability of those in the peacebuilding policy community to achieve optimal levels of coherence. However, merely developing more policies dealing with coherence will not necessarily address the issues at hand nor ensure more coherent, let alone more efficient and effective peacebuilding interventions. In order to develop coherence, local and international actors must adapt their views on peacebuilding in order to take the five recommendations outlined above into consideration. Peacebuilding processes must be locally driven; they must be inclusive of all actors; there is a need for investment in leadership of locals; the right level and type of coherence desired must be determined; and the principle of TRUST is vital. If one is able to approach peacebuilding from this view, applying these central, fundamental tenants of vision, leadership and ownership, coherence and coordination will follow suit in the form that is most appropriate for peacebuilding in a particular context. Interventions that follow these principles, to achieve the optimal level of coherence among actors, strategies and goals, will have a better chance at becoming efficient, sustainable peacebuilding intervention success stories. It is of the utmost importance that those in the peacebuilding community work together to allow success stories to occur. 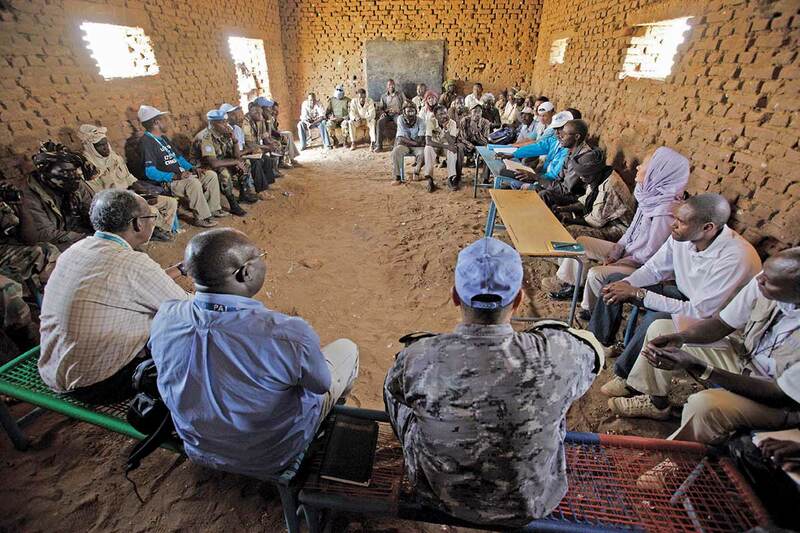 Opportunities for peacebuilding to be successful in post-conflict situations should not be squandered – initiatives can work or the situation can relapse very quickly. Those in the peacebuilding community can contribute to sustainable peace post-conflict by working to achieve the best possible level and type of coherence and coordination for each context and country. African Centre for the Constructive Resolution of Disputes. 2014. 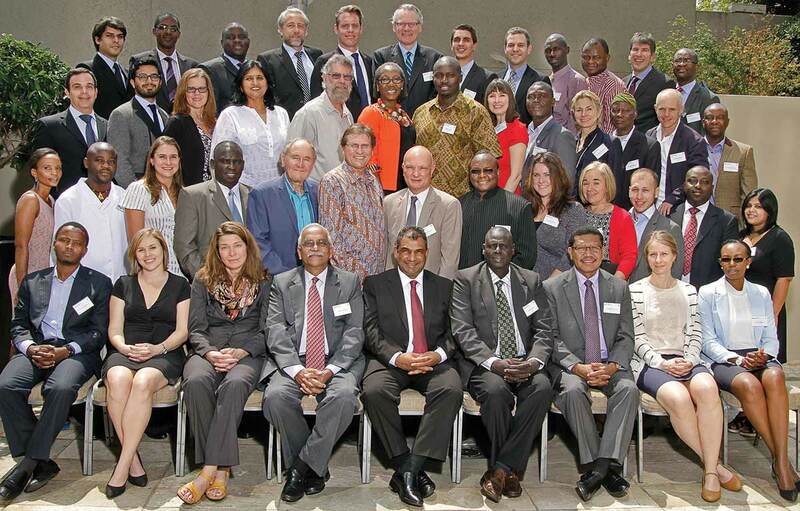 Towards a more coherent peacebuilding policy community seminar proceedings on 19 and 20 February in Johannesburg, South Africa. 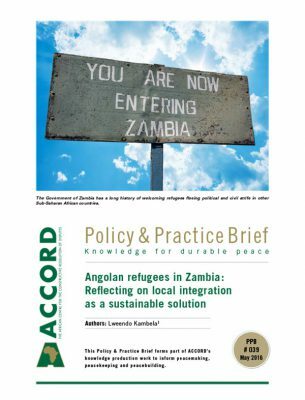 Video recording available from: <http://www.accord.org.za/peacebuilding-multimedia/> [Accessed 23 April 2014]. This brief relies heavily on discussions and the input of participants who attended the seminar. 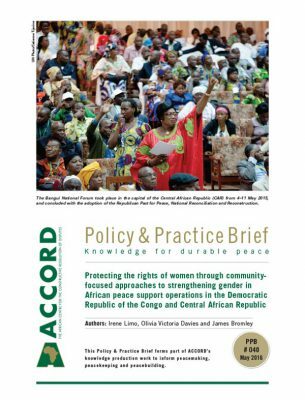 The authors acknowledge the contributions of ACCORD members of staff Sylvia Percovich, Marisha Ramdeen, Gustavo de Carvalho and Dr Cedric de Coning to the success of the seminar and the content of this brief. These include, but are not be limited to the AU’s Post-conflict Reconstruction and Development Framework and the AU’s African Solidarity Initiative (Africa-wide South-South cooperation), the UN’s new peacebuilding architecture and civilian capacity initiative, the work of UNDP’s Bureau for Crisis Prevention and Recovery, the World Bank’s World Development Report for 2011, the African Development Bank’s High-Level Panel on Fragile States, the New Deal Engagement in Fragile States and the work of the g7+ pilot countries, as well as the Post-2015 Development Agenda, with particular focus on the new attention to a potential goal on conflict, violence and disasters. Donini, A., Niland, N. and Wermester, K. 2004. Nation-building unraveled? Aid, peace and justice in Afghanistan. Bloomfield, Kumarian Press, p. 3. De Coning, C. 2010. Clarity, coherence and context: Three priorities for sustainable peacebuilding. 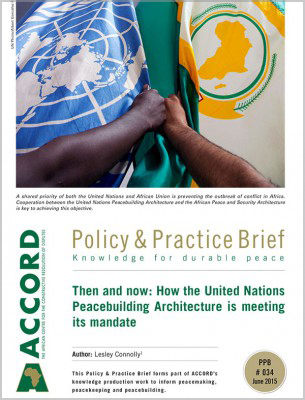 Working paper: The future of the peacebuilding architecture project, February. pp. 1–31. De Coning, C. 2012. Coherence and international cooperation: A complexity theory approach to the coordination dilemma in peacebuilding operations. PhD dissertation. Stellenbosch, University of Stellenbosch. African Centre for the Constructive Resolution of Disputes. op. cit. Provost, C. 2013. Millennium Development Goal progress index. The Guardian, 29 May. Available from: <http://www.theguardian.com/global-development/poverty-matters/2013/may/29/millennium-development-goal-progress-data> [Accessed 15 May 2014]. Park, K. 2010. Rwanda’s reforms boost progress on school enrolment. 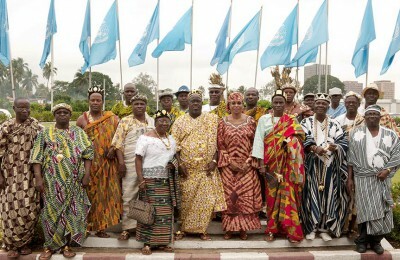 United Nations Development Programme, May. Available from: <http://www.undp.org/content/undp/en/home/presscenter/articles/2010/05/10/100507-rwanda-education.html> [Accessed 15 May 2014]. Republic of Liberia. 2012. National sustainable development report. Government of Liberia. 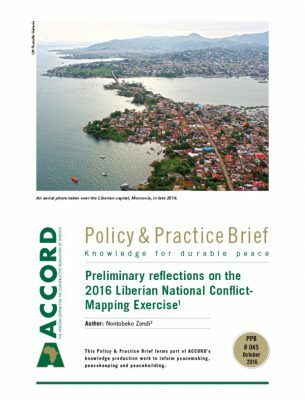 Available from: <http://sustainabledevelopment.un.org/content/documents/598liberiantreport.pdf> [Accessed 6 August 2014]. Republic of Liberia. 2012. Agenda for transformation: Steps towards Liberia rising 2030. Government of Liberia, February. Available from: <http://mof.gov.lr/doc/AfT%20document-%20April%2015%202013.pdf> [Accessed 6 August 2014]. Solunteh, P. no date. 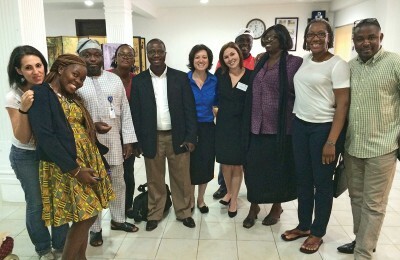 Liberia: Changing the way government does business – how one man’s stunning boldness has affected so many (a tribute to the Kennedy School of Government). The Independent. 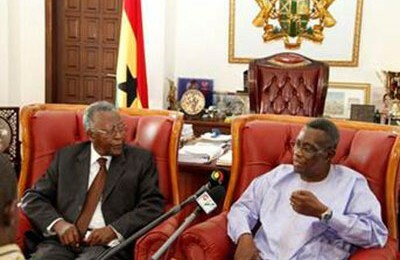 Available from: <http://theindependentliberia.com/index.php/op-ed-features/506-liberia-changing-the-way-government-does-business-how-one-man-s-stunning-boldness-has-affected-so-many-a-tribute-to-the-kennedy-school-of-government> [Accessed 29 May 2014]. See also The Informer. 2013. Liberia: 59 govt. dev’t. project failed – under 2012/2013 nat’l budget, LMC reports”. 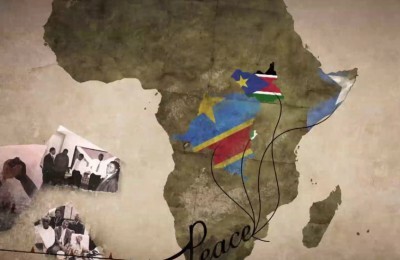 AllAfrica, 4 July. 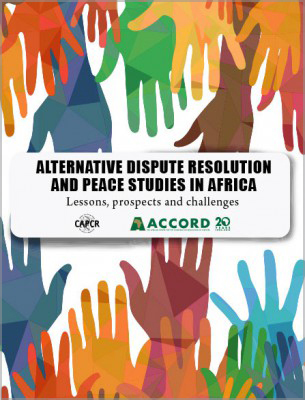 Available from: <http://allafrica.com/stories/201307041360.html> [Accessed 7 July 2014]. Elrick, J. 2010. Open budget survey transparency stars: Afghanistan, Liberia, and Mongolia. Sustainable public financial management. Available from: <http://www.freebalance.com/index.php/public-financial-management/open-budget-survey-transparency-stars-afghanistan-liberia-and-mongolia/> [Accessed 16 May 2014]. De Coning, C. 2008. 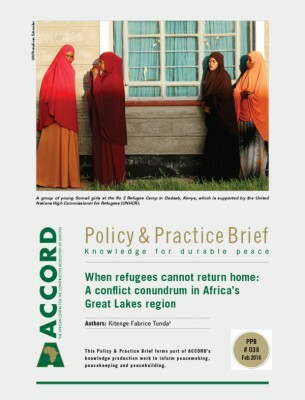 The coherence dilemma in peacebuilding and post-conflict reconstruction systems. 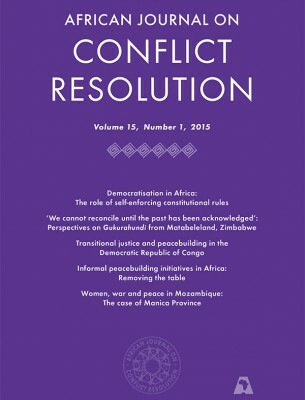 African Journal on Conflict Resolution, 8 (3), pp. 85–110. Friis, K. and Jarmyr, P. 2008. Comprehensive approach. Challenges and opportunities in complex crisis management. Security in Practice 11. Oslo, Norwegian Institute of International Affairs. Smith, D. 2004. Towards a strategic framework for peacebuilding: The synthesis report of the joint Utstein study on peacebuilding. Oslo, International Peace Research Institute. De Coning, C. 2012. op. cit. Chesterman, S., Ignatieff, M. and Thakur, R. 2005. Making states work: State failure and the crisis of governance. Tokyo, United Nations University Press, p. 365. The ‘Mandela factor’ is a colloquial reference to having a strong leader (such as the late Nelson Mandela, former president of South Africa) who is recognised at local and international levels and who seems to embody and live the responsibilities set upon her or him. Organisation for Economic Co-operation and Development. 2011. A new deal for engagement in fragile states. International dialogue on peacebuilding and statebuilding. Paris, Organisation for Economic Co-operation and Development. Newman, E., Paris, R. and Richmond, O. eds. 2009. New perspectives on liberal peacebuilding. Tokyo, United Nations University Press. p. 73. De Coning, C. 2014. Can the New Deal for Fragile States live up to its promise to significantly shift agency to the local?, OECD Insights, July. 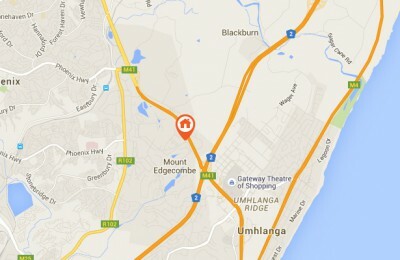 Available from: <http://bit.ly/1pcOhZu> [Accessed 24 July 2014]. Ball, N., and Spies, C. 1999. 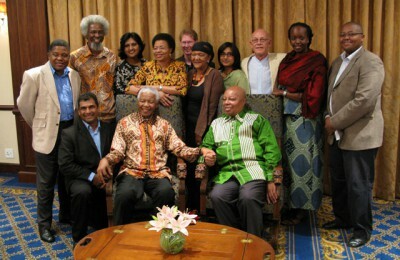 USAID’s case studies: Peace committees in South Africa. Available from: <http://www.oecd.org/derec/unitedstates/35112635.pdf> [Accessed 16 May 2014].